The Haftsin setting, Chahârshanbe Sûrî, Sizdah Bedar, etc. 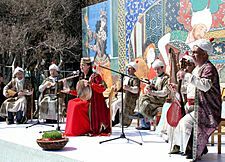 Nowruz (Persian: نوروز, meaning "[The] New Day", IPA: [nouˈɾuːz]; Kurdish: Newroz; Turkish: Nevruz) it is what the Iranians call their New Year. It is one of the ancient celebrations which has survived throughout history and is considered to be a day in which new good things start. 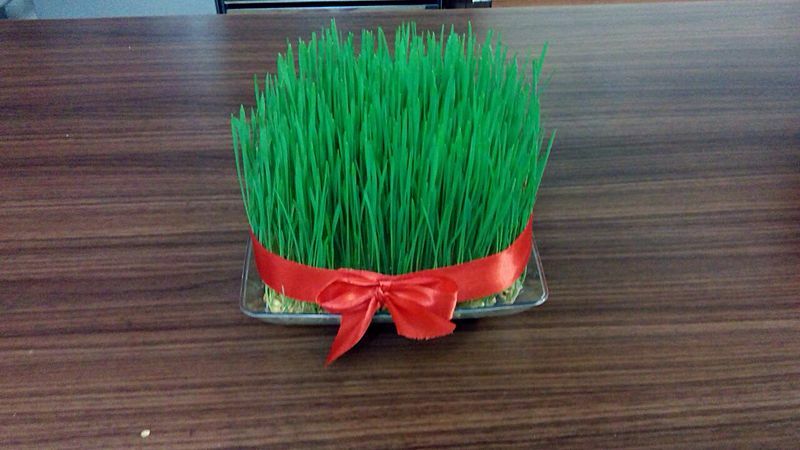 Nowruz is an Ancient Persian new year holiday, celebrated in early spring 20 - 21 March. Khurdish and in Middle East and many other countries in Central Asia including Iran, Tajikistan, Pakistan and Afghanistan celebrate this event on 21 - 22 March. 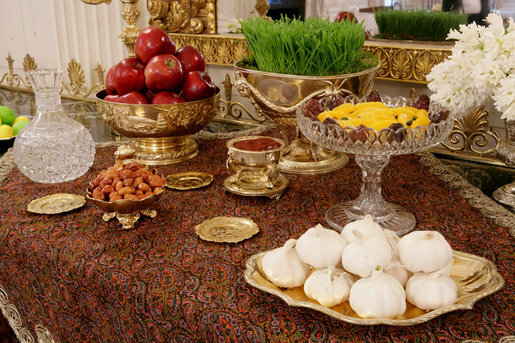 It is considered to be one of the most important celebrations of Persians. Painting of Shah Abbas II and the courtiers celebrating Nowruz. A 16th century painting of Tahmasp I and Humayun celebrating Nowruz. Painting of Sultan Husayn and the courtiers celebrating Nowruz. A giant Samani in Baku. 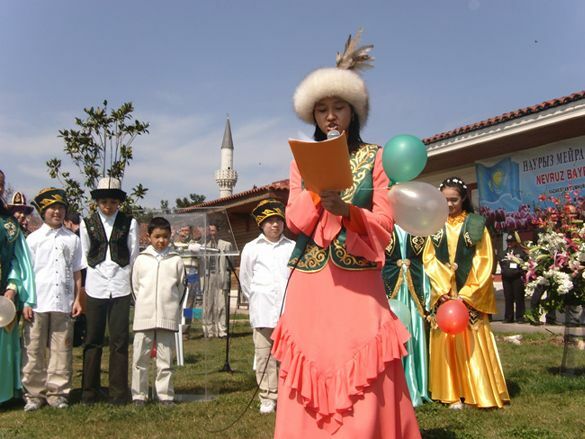 Nowruz Facts for Kids. Kiddle Encyclopedia.